A significant development arising out of the appointment of a local Attorney General is the greater sensitivity to issues arising from controversial conflict-related deaths. 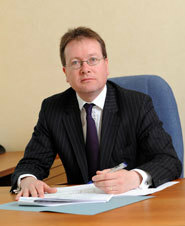 One of the roles of the Attorney General (John Larkin was sworn in as AG for Northern Ireland in April 2010) is to consider whether new inquests should take place on the emergence of new information or circumstances in respect of a particular death. One of these new circumstances has been a successful judicial review ordering that those responsible for the death in question, must now attend and give evidence at inquests. •	Lesley Howell and Trevor Buchanan, killed by Colin Howell in Coleraine in 1991. Application to the Attorney General to hold new inquests has also been made by the families of those killed in what has now become known as the Ballymurphy Massacre in 1971. Clearly this power to order new inquests is one that will keep Mr Larkin very busy. And now most recently, Mr Larkin has ordered that a new inquest be held in relation to the case of Gerard Slane, killed by the UDA in September 1988. The significance of this case is that it was one of three that figured prominently in the trial in 1992 of Brian Nelson, the UDA’s then head of intelligence who was also exposed as an agent of British military intelligence. The linked murders of Pat Finucane and Terence McDaid, suggest immediately the importance of this case. Now that the coroner is able to call those responsible for the death in question, the calling of Colonel Kerr, Nelson’s army boss who gave mitigating evidence of his role at trial, is brought into focus. It remains to be seen whether, in a nice turn of irony, the then Attorney General, Patrick Mayhew, will also be called, given the invocation of national security in relation to Nelson’s trial. An inquest into a death that occurred since the Human Rights Act came in to force in 1998 must comply with Article 2 of the European Convention on Human Rights (the right to life). This requires investigations that are prompt, independent, transparent and effective. Defining and elaborating what this means has been a keyfocus of the European Court of Human Rights down the years and cases from Northern Ireland have been important in this developing case law. A recent Supreme Court judgment (which addressed historical deaths in Northern Ireland in which there were allegations of a “shoot to kill policy”) has held that where the state has decided to hold an inquest into such a death, it too must also comply with Article 2 ECHR. In the absence of any other process for dealing with the legacy of the conflict, inquests will become more important as a venue for truth-seeking. Mr Larkin’s impact suggests that new inquests can only become more central to how we deal with the past. Mike Ritchie is director of the Committee on the Administration of Justice (CAJ), the leading human rights NGO in Northern Ireland.